Would you like to live in a home paying £47 per month for gas and electricity? This is the incredible monthly dual fuel bill for the Low Energy Home of the local Refurbishment Specialist. 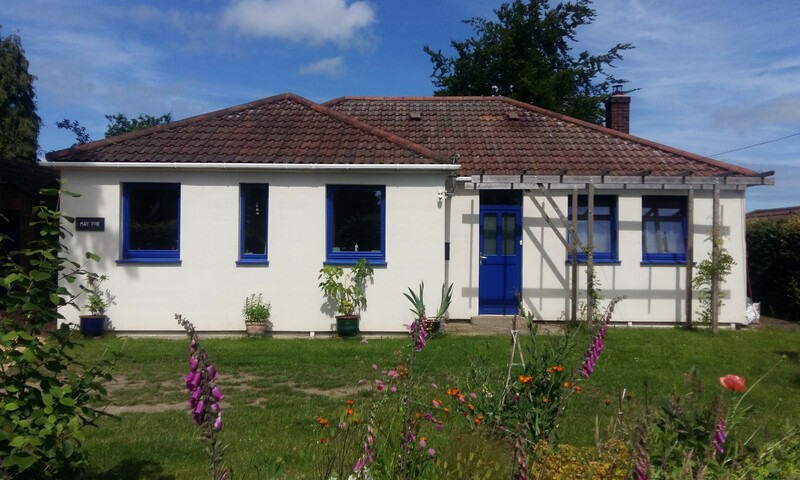 Claus Best, who runs Smart Energy Services, an energy advice and retrofit business in Bayston Hill has converted his bungalow into an extremely comfortable and efficient home. In 2010 he undertook a complete retrofit project of the 1950’s concrete bungalow to create his comfortable Low Energy Home. This is a network of around 200 older homes nationwide, which have been improved to a high standard of energy efficiency with at least 60% of savings. The Superhomes network like Claus Best want to share the potential of improving homes by showing what has been achieved and give people the opportunity to see the improvements for themselves. For this purpose Hay Tor will be open to visitors on Sat/Sun 2/3rd September from 12.00 – 4.00. More recent additions to the project are a sustainable drainage system whereby all rain water from the roof is either collected for watering the garden or runs to a soak away. There are no ground sealed surfaces, which saves the Severn Trent surface water drainage charge. The detached garage has been converted into a well insulated office with en-suite facilities.